Traveling solo? You're not alone! One of the more noticeable trends in cruising involves a greater number of people traveling solo. Some of our clients truly are single or don't have a built-in travel companion, although we have a number of guests who are married and simply opt to travel on their own. We also have a growing contingent of retirees who love traveling together on World Cruises yet still prefer their own staterooms. For the same reasons that cruising is an appealing vacation option to couples and families, it is a wonderfully easy and relaxing way for solo travelers to explore the world. Take a look at some of the upcoming cruises that offer special pricing or offers for solo travelers, and read on for tips on planning, and saving money, on a solo cruise. Traveling solo means you have a more flexible schedule/can do what you want, when you want. 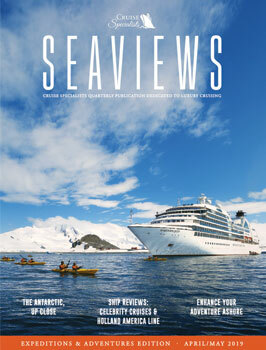 Cruises offer ample activities for any passenger to simply show up and participate. You can request to be seated with other solo travelers in the cruise ship's dining areas. Shore excursions are a fun way to explore the destination, without having to do any of the planning yourself. How Does Cruise Pricing Work for Solo Travelers? Cruise lines base their pricing on an assumption that 2 people will share each cabin (hence, the term “double occupancy”). If each person pays the full fare per person, or 100%, that means the full cabin is expected to take in 200%. Therefore, a favorable single supplement for a solo traveler is 125% or 150%. Look for a cruise that offers a single supplement fare of less than 200%. Sometimes cruise lines completely waive the solo supplement fare, meaning you travel for the cost of a per person, double occupancy fare even though you have the room to yourself. Look at river cruising as an option. River cruise lines tend to waive the single supplement on a select number of voyages each year (usually this is a capacity-controlled offer). 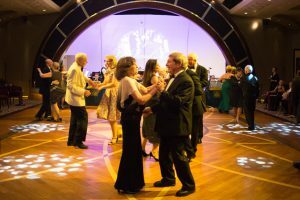 With the intimate ship size and emphasis on enrichment/tours, there are many opportunities to socialize and meet others with common interests, and they may even offer a special welcome cocktail reception for solo travelers or an invitation to dine at the Captain's Table. More cruise lines are offering single cabins, perfect for just one person; some may also have an exclusive solo traveler lounge so you can relax more easily in a dedicated space. Cunard and Royal Caribbean are examples of cruise lines with solo cabins. 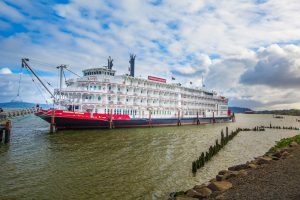 River cruise lines that offer solo cabins include American Queen Steamboat Company, AmaWaterways, and Scenic Luxury Cruises & Tours. Ask us about hosted cruises. 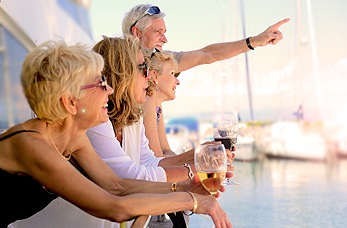 On a hosted cruise, a dedicated voyage host builds camaraderie with clients that have been booked through our agency. They may host a welcome reception, special dinners, or hold chat times/small group conversations to help guests get to know each other and find common interests. Roommate matching may be an option. For example, Quark Expeditions matches solo travelers of the same gender with other solo travelers who indicate they are willing to share. Both guests save the single supplement. Take advantage of the cruise line's shore excursions, to explore each destination in the safety and comfort of a group. Taking the shore excursions offered through the cruise line is also a good way to ensure that the company running that tour has been properly vetted, and they are held accountable for getting you back to the ship on time.